By Andrii Degeler , August 23rd, 2018. Simple Feast, a Copenhagen-founded startup that delivers environmentally-conscious vegetarian ready-to-eat meals, has raised a $12 million Series A funding round led by Balderton Capital, with participation from 14W in New York. 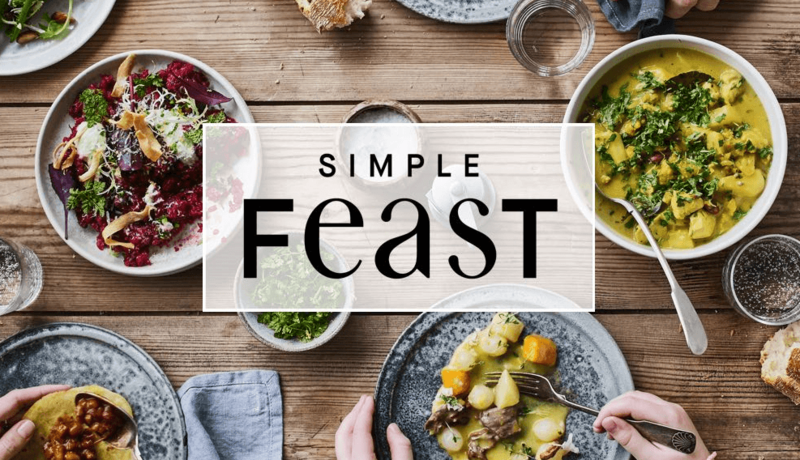 Founded in 2015, Simple Feast employs 20 people full-time and states fighting the climate change as its primary mission. The way to achieve it for the startup is to help its customers give up or at least reduce consumption of meat. “It’s very difficult for people to make such a change. Most of us grew up learning to cook dishes with meat at the centre of the plate and lifestyle changes are hard,” Jakob Jønck, CEO and co-founder of Simple Feast. The meals delivered by Simple Feast are pre-cooked and ready to serve within 10 minutes, the company states. Priced at some €8 to €10 per person excluding delivery, they come three at a time in biodegradable weekly boxes.